This sign is for Shell Agencia Argentina. The sign’s colors are red, yellow and white. 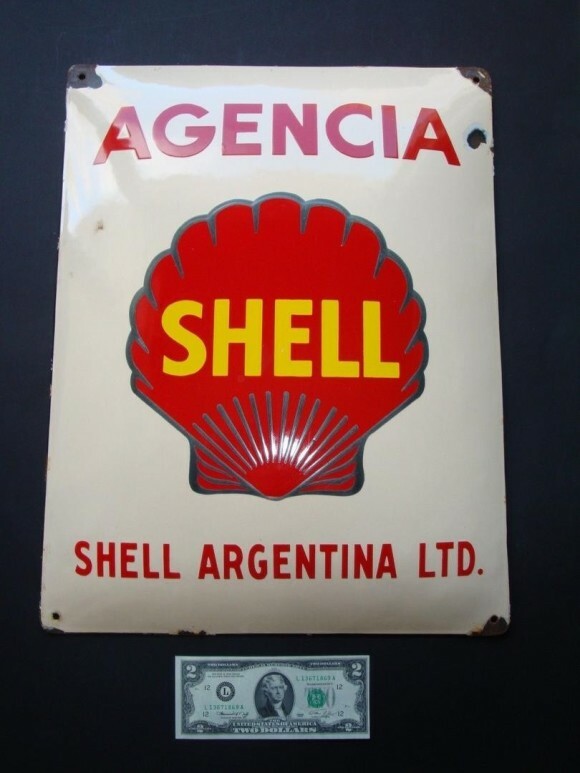 The text on the sign reads: Agencia Shell Shell Argentina LTD. The sign shows a shell in the center with text above and below.